Vroom vrooming all the way to these sales. 1. A front seat cover for when you wanna bring your furry friend along for the ride, but don't want their fur sticking onto those gorgeous leather seats. Get it from Amazon for $16.99 (originally $35). 2. A bluetooth transmitter for making (safe!) hands-free phone calls, listening to your favorite FM radio stations, or jamming to your music from your phone all while being able to charge up. Screen shows incoming call numbers, voltage levels in car battery, volume, FM frequency, and song name while playing music from a Micro SD card or USB flash drive. There are dual USB ports and an easy power off switch. It's universally compatible. Get it from Amazon for $16.49 (originally $39.99). 3. A two-port USB charger that'll keep your phone at 100, even if your speedometer is at 0. Compatible with iPad, iPhone, iPod, HTC, Galaxy, Blackberry, MP3 players, digital cameras, PDA's, and other kinds of mobile phones. Promising review: "This charger is awesome. I always hated how slow car chargers typically are. We all have them — the gas station charger that will barely keep the phone alive, and only if you aren't using it. This is not like that. This is just as fast as the lightning charger in the wall. Plugged it in on one percent and in no time i was at 30%. We have used it with Galaxy and iPhone. Even at the same time. Highly recommend." —Logan H.
Get it from Amazon for $8.39+ (originally $19.99, available in two colors). 4. A heated seat cushion for making even the oldest, most rugged of cars, feel like a luxury vehicle. Just plug it into your car's 12-volt DC outlet. The max heating temp. is 114 degrees F, and it has hi/lo/off temp. controls. Get it from Amazon for $20.43 (originally $34.95). 5. A sunshade windshield cover to place over your car WHILE YOU'RE NOT DRIVING IT so it doesn't overheat. Don't you just hate when your vehicle feels like a boiling pot of pasta and your legs stick to the hot seats like glue?! One size fits most cars. Get it from Amazon for $8.99 (originally $12.99). 6. 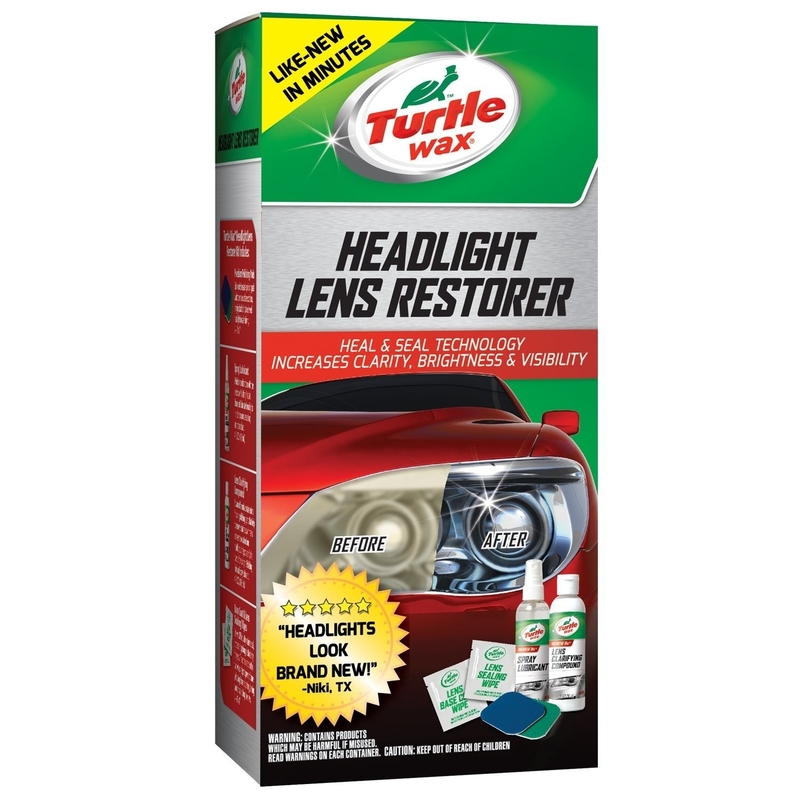 A headlight restoration kit that'll clean those lights so well, they'll shine as bright as the top of the Chrysler building! 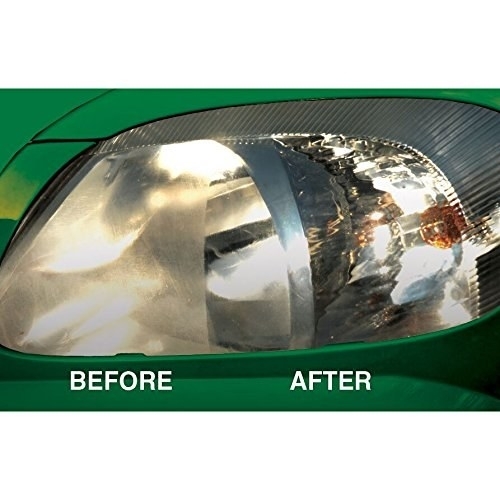 Ok, but seriously, having clean headlights is so important when it comes to preventing accidents at nighttime or in inclement weather. Get it from Amazon for $6.99 (originally $9.81). 7. A six-pack of activated charcoal deodorizing bags for keeping the scent of your automobile fresh, no matter how many green juices are spilled, on-the-go containers of tuna fish are opened, or cheeses are cut (🌬️) inside. Get them from Amazon for $21.95 (originally $29.95). 8. A trash can that'll make bottles and wrappers on the floor of your car a thing of the past. Now you can hide the evidence of yesterday's late night Taco Bell run. Get it from Amazon for $19.99 (originally $29.99). 9. A car phone holder for an easier and safer way of looking at your phone's GPS. Looking down means completely taking your eyes off the road which is a major NO-NO! Get it from Amazon for $9.69 (originally $12.99). 10. A 42-piece AAA road kit to temporarily save you from being stuck on the side of the road when a problem hits! It'll hold you over until you can get some professional help. Promising review: "This is a great kit to have in your car! It has almost everything you could possibly need. It comes in a carrying case to keep everything together and not overcrowd your trunk. I would recommend purchasing this item!" —Bonnie S.
Get it from Amazon for $26.58 (originally $34.99). 11. A cordless vacuum that'll clear away all those crumbs from those times when you just HAD to devour a family-sized bag of sour cream and onion chips like a lion munching away at its prey. Features a lightweight, portable design and utilized lithium technology for strong suction and extended run time. Get it from Amazon for $32.29 (originally $39.99). 12. A portable air compressor for when you're far from a gas station and the pressure in your tires either needs a quick check or quick fill until you can get there. You must run your engine while using this. This is good for small ATV's, trucks, SUV's, and sedans with tires up to 33" in size. Get it from Amazon for $54.35 (originally $65.95). 13. A waxer/polisher to restore your vehicle's exterior to a condition even the dealership would be jealous of. Features a comfortable, two-handle design so your arms don't get tired while using. Includes a 6 in. random orbit waxer/polisher and one foam applicator bonnet. Runs on a random orbit at 4,4000 orbits per minute. Get it from Amazon for $29.17 (originally $34.87). 14. A memory foam steering wheel cover that'll provide some much welcomed comfort to your hands as you're driving. Get it from Amazon for $5.92+ (originally $7.02, available in six colors). 15. A keychain car escape tool to keep handy in case of an emergency we hope you don't find yourself in, but want you to be prepared for just in case. Get it from Amazon for $9.38 (originally $10.78, available in seven colors). 16. A digital tire gauge to make checking your tire pressure easy, peasy, lemon squeezy, especially if you're someone who knows, like, nothing about cars, except for how to drive them. The digital display shows the exact reading, so no guesswork involved! It has a simple push button control to turn on, and it automatically shuts off after 30 seconds to save the batteries. A soft, non-slip surface means easy, comfy gripping. Get it from Amazon for $10.65 (originally $11.99). 17. A glass cleaning tool that'll make your windows look brand new, which is good! So you can, you know, see through them without dusty crap blocking your views of the road. Includes two washable, reversible, and reusable microfiber cleaning bonnets and a mesh storage bag. A pivoting triangular head makes it easy to adapt to curved surfaces. Get it from Amazon for $13.47 (originally $14.99).